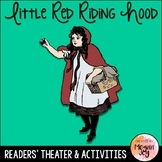 Little Red Riding Hood - Reader's Theater and Puppet Fun! 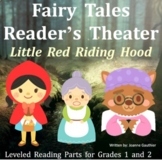 Also included in: Reader's Theater Bundle 2 - More Classic Stories! 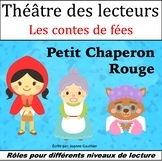 Readers theater version of Little Red Riding Hood by Charles Perrault. 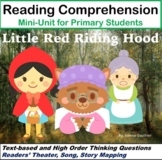 Please note that this is based on the original version of the tale in which both Grandmother and Little Red Riding Hood are devoured by the wolf. 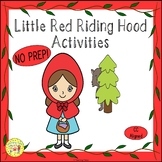 Alas, there is no woodcutter at the end of this tale to save these innocent lives. 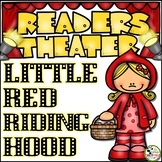 Little Red Riding Hood Reader's Theater Fun! 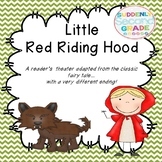 What better way to practice fluency than with a play....and not just any play but a child favorite! 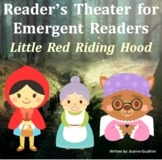 My students really enjoyed acting out this play and I hope yours do too! 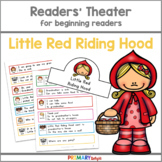 Readers Theater helps students improve their reading fluency.This is an old favorite which students love to perform!They can perform before classmates and take home to perform with and for family members. 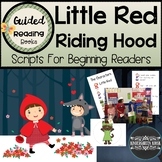 Red Riding Hood - Retelling and More! 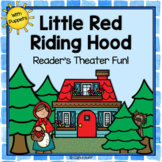 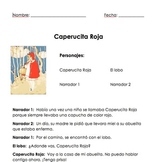 Also included in: Reader's Theater Bundle- 3 Fun Scripts for Fluency Practice!